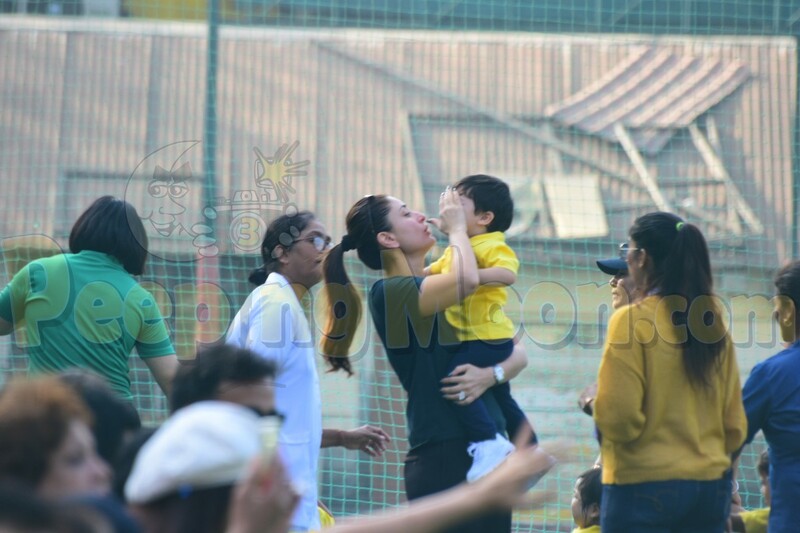 Aww, Taimur. 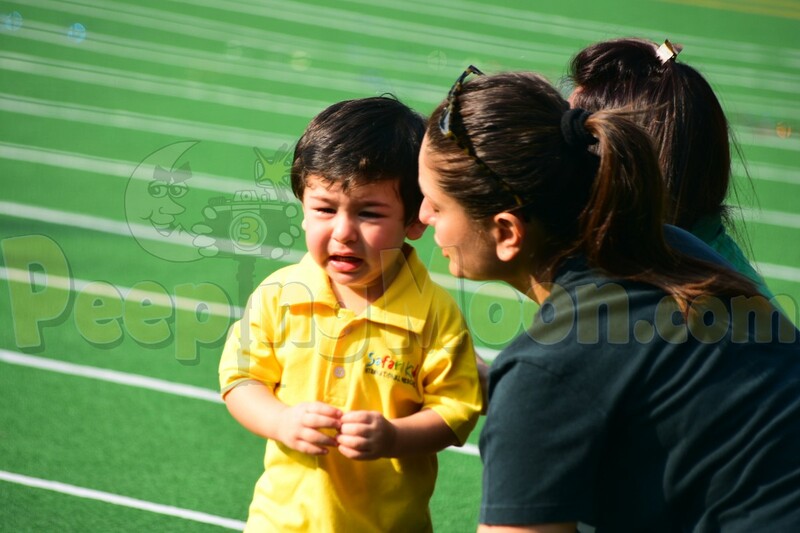 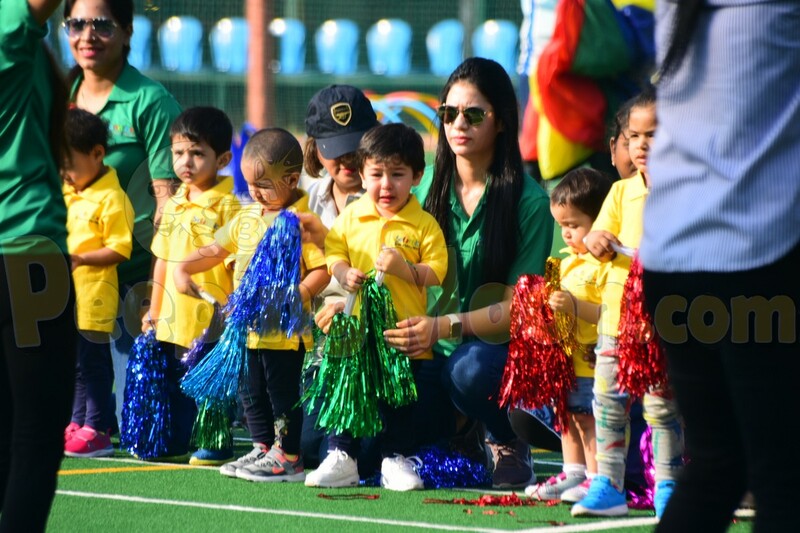 Seems like Kareena Kapoor Khan’s son didn’t quite enjoy himself during his sports day event organized by his playschool in Mumbai on December 9. 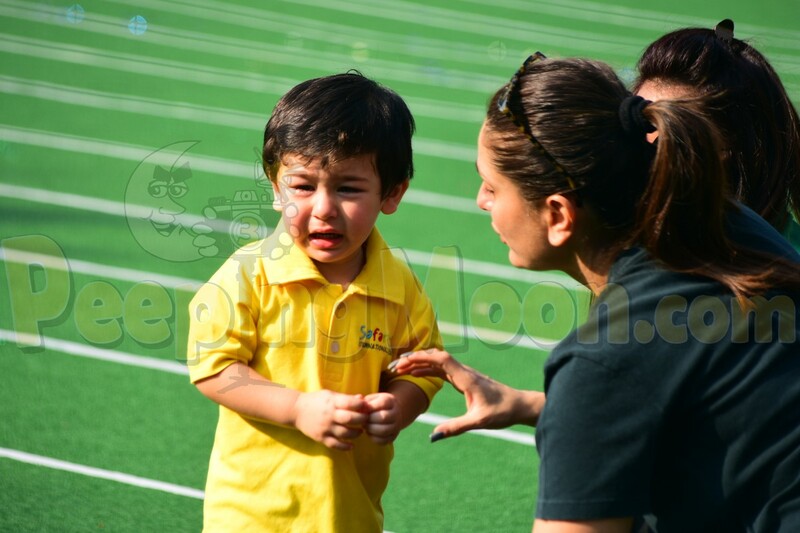 Taimur, cute as a button in a yellow tee and pants, was weeping profusely during the school race while his mother tried her level best to console him. 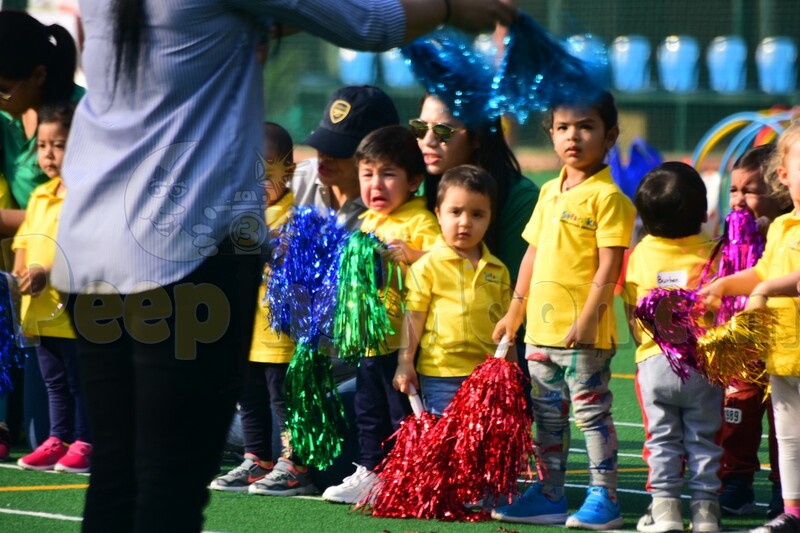 Recommended Read: Are Kareena and Saif giving a subtle hint to the paparazzi through Taimur’s pre-birthday bash return gifts? 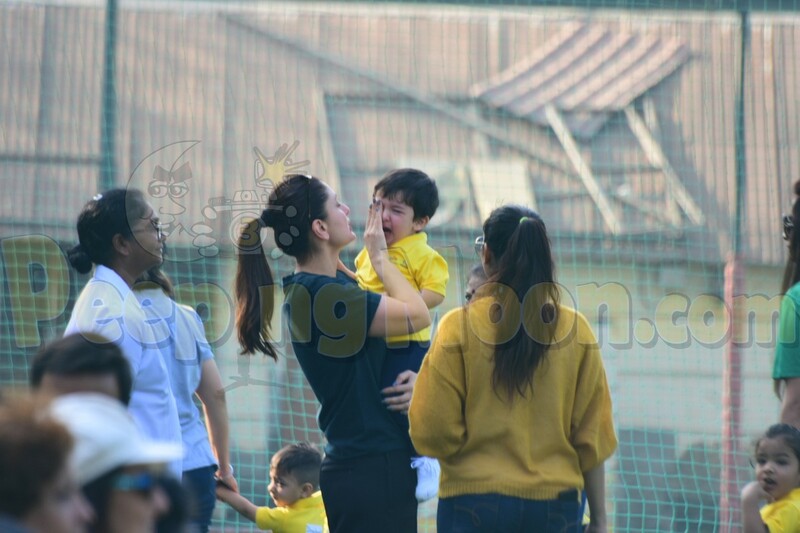 Seems like Taimur wasn’t even willing to listen to his mum. 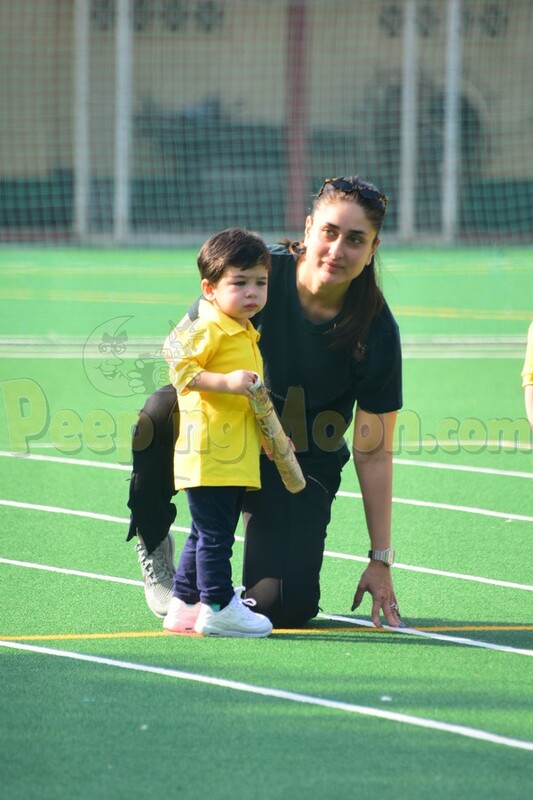 Ultimately, Kareena, casually dressed in a tee and pants, had to step in and run with Taimur during the race and that is when he stopped crying.